Want to see how the plantings of annuals, perennials, vegetables and hardy roses have fared during this year’s growing season? In the summer, adjustments to the start and stop times of irrigation and the use of stable EC settings are required. 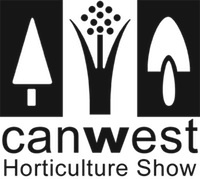 CanWest is Western Canada’s premier nursery and landscape trade show. Connect with buyers, showcase your new products, network with colleagues. CanWest features a top notch education conference and several special events attracting attendees from throughout Western Canada and the Pacific Northwest. Limited booth space still available; contact Suvan Breen at sbreen@bclna.com or 604.575.3516. Come to CanWest for business, and extend your stay in Vancouver to enjoy the sites. For all the show details visit CanWestHortShow.com. Check out the performance of some new – and not so new – vegetative annuals being trialled at the Vineland Research and Innovation Centre during an open house on Aug. 22 from 10 to 4. The warm, moist environment during poinsettia propagation is perfect for the development of Bacterial Soft Rot and Rhizoctonia. There’s still time to nominate someone for our Top 10 Under 40 program. Do you work with an outstanding young person, either as an employee, employer, colleague or customer, someone you know will contribute a lot to the success of your company and to the industry in general? With area in large Canadian cities at a premium, urban dwellers are using vertical space to increase the size of their gardens.